It feels like jeans have been around since the beginning of time.. Or maybe they have? But whenever they were introduced to the world there seems to be no end in sight for them. They are probably the most worn and versatile item of clothing in most people's wardrobes. They definitely are in mine anyway! I just wish I could wear them to work.. anyway..
With so many different styles of jeans around at the moment it's hard to pick just one favourite style. I'd probably have to go with the skinny jeans but I do also love the boyfriend and flare styled one. Ahh there's just so many! Here are so of my online favourites around at the minute. 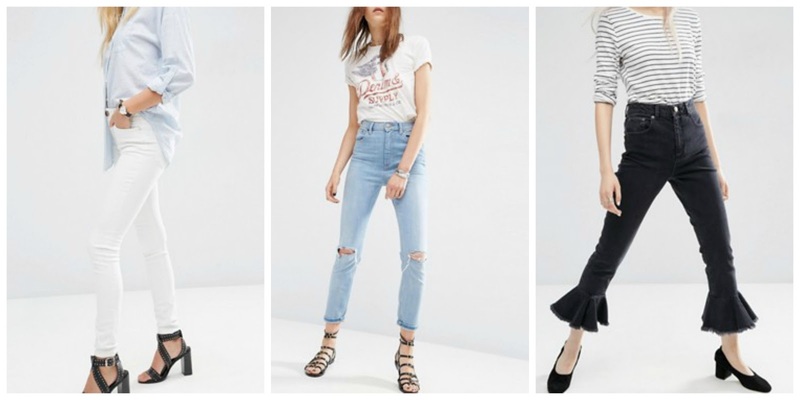 Which is your favourite style of jean to wear?